Some best practices you can apply to avoid these common crashes for Elasticsearch and the ELK stack. Querying Elasticsearch from Kibana is an art because many different types of searches are available. From free-text searches to field-level and regex searches, there are many options, and this variety is one of reasons that people opt for the ELK Stack in the first place. As implied in the opening statement above, some Kibana searches are going to crash Elasticsearch in certain circumstances. For example, using a leading wildcard search on a large data set has the potential of stalling the system and should therefore be avoided. The end-result of this Elasticsearch behavior is that using terms in large data sets can consume a very large amount of memory, which could potentially result in the crashing of your Elasticsearch cluster. 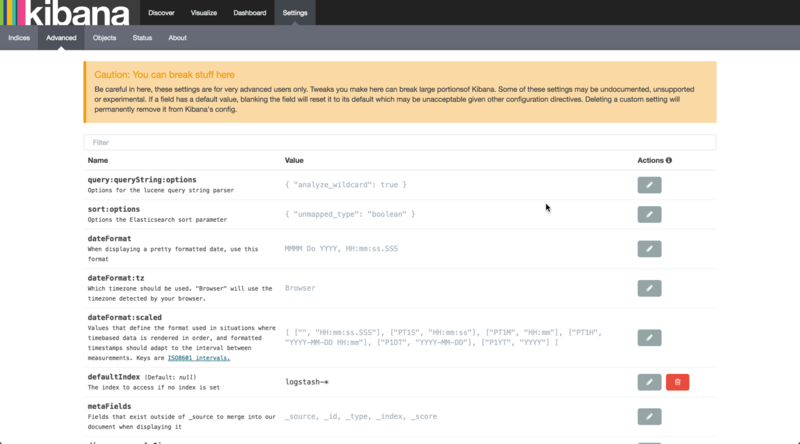 Best practice: Pay heed to the warnings in Kibana, and be extremely careful when making changes to advanced settings.